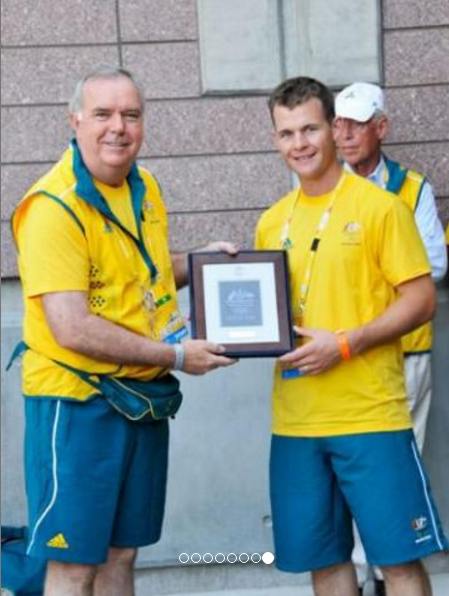 Peter McMahon – Tullamore talent experiences Olympic tragedy! With the upcoming Summer Olympic Games in Rio de Janeiro, the Parkes Library history blog will focus on Olympians from the Parkes Shire. Each post will provide a snapshot of the sportsmen and sportswomen who have worn the green and gold and called the Parkes Shire home at some point of their lives. 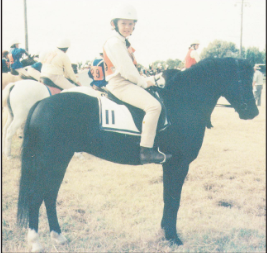 This post will focus on Peter McMahon, the Parkes Shire’s first equestrian Olympian who represented Australia at 2008 Beijing Olympic Games. Peter McMahon was born October 16, 1981 and grew up on a farm near Tullamore. McMahon began riding horses at the age of five. Peter and his brothers – Ashley, Craig, Steve and Ross – grew up heavily involved in the annual Tullamore Show. Parents Robyn and Kevin remember Peter taking to horse riding with great enthusiasm at an early age. Peter learned his trade on the local show circuit. 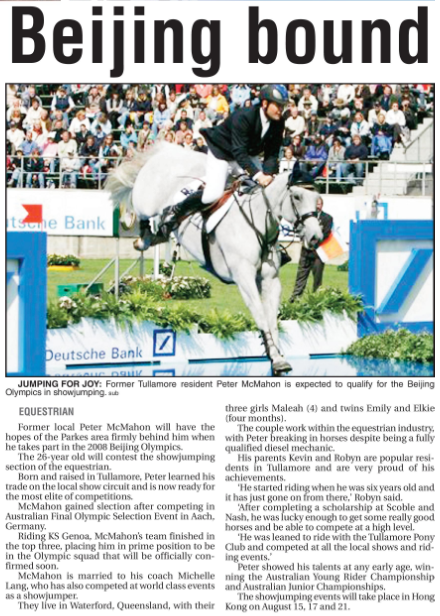 Peter showed his talents at an early age, winning the Australian Young Rider Championship and Australian Junior Championships… McMahon gained selection after competing in the Australian Final Olympic Selection Event in Aachen, Germany. Riding KS Genoa, McMahon’s team finished in the top three, placing him in prime position to be in the Olympic squad that will be officially confirmed soon. Source: Beijing Bound. (2008, July 4). 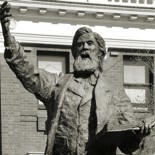 Parkes Champion Post, p. 28. Peter’s story highlights the fine line between success and disappointment in sport. With the team poised in a good position for a medal placing, his horse, KS Genoa needed reshoeing. Once this was completed, Peter and KS Genoa were to do some practice jumps before taking part in Round 3 of the team event. Unfortunately the mare stumbled, throwing Peter to the ground and injuring him. McMahon suffered a broken left collarbone and was forced to withdraw from competition. Olympic team jumping takes the best three results from a team of four and this meant that Australia’s remaining jumpers had no margin for error. Australia finished ninth and Peter McMahon had to be taken to hospital. Source: Broken collarbone ends Peter’s Olympic campaign. (2008, August 22). Parkes Champion Post, p. 3. “Entertainment – Not Just an Event!” Equestrian Queensland. N.p., 11 May 2016. Web. 11 Aug. 2016. If you have stories or memories that you are willing to share about Peter McMahon or any of the other Olympians of the Parkes Shire , please contact Parkes Shire Library via library@parkes.nsw.gov.au so that they can be shared and kept for posterity on this blog. Alternatively you may leave comments on this page. From Tullamore to Beijing – we’re cheering on Peter. (2008, August 8). Parkes Champion Post, p. 8. Beijing Bound. (2008, July 4). Parkes Champion Post, p. 28. Broken collarbone ends Peter’s Olympic campaign. (2008, August 22). Parkes Champion Post, p. 3. 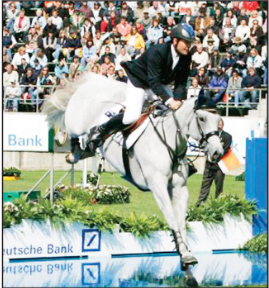 This entry was posted on August 11, 2016 by parkeslibrary in 2000s, famous people of Parkes Shire, General history, Olympians of the Parkes Shire, Olympic Games, Tullamore, Tullamore today, Uncategorized and tagged 2008 Beijing, 2009 Elite Jumping Squad, 2009 Sport Star of the Year, Aachen, Aquis Showjumping Classic, Australian Junior Championships, Australian Young Rider Championship, Beijing Olympic Games, broken left collarbone, diesel mechanic, disappointment, Elysian Fields, equestrian, famous people of Parkes Shire, history, Kolora Stud, KS Genoa, Leopoldo Palacious, local reaction, mare, Michelle Lang, New Zealand Horse of the Year, ninth, Olympic Cup, Olympic Cup winner, Parkes Champion Post, Parkes Shire, Parkes Shire Council, Peter McMahon, reshoeing, retired injured, Rio 2016, Rio de Janeiro, SaddlerySales.com Sport Star of the Year 2009, showjumping, Stanthorpe Show, Tom McMahon, Tullamore, Tullamore Show.